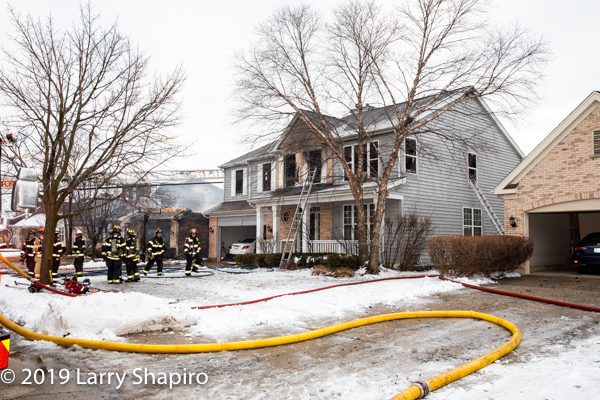 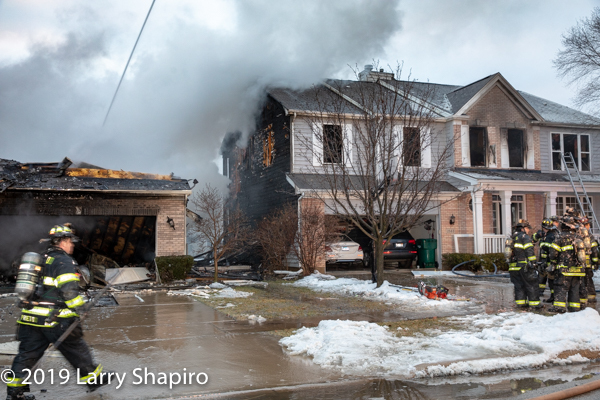 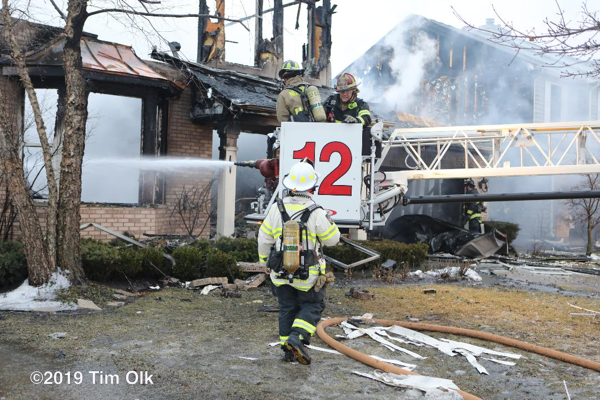 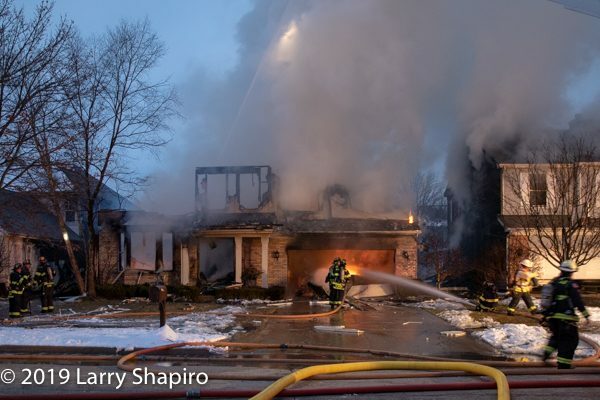 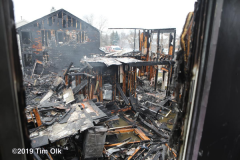 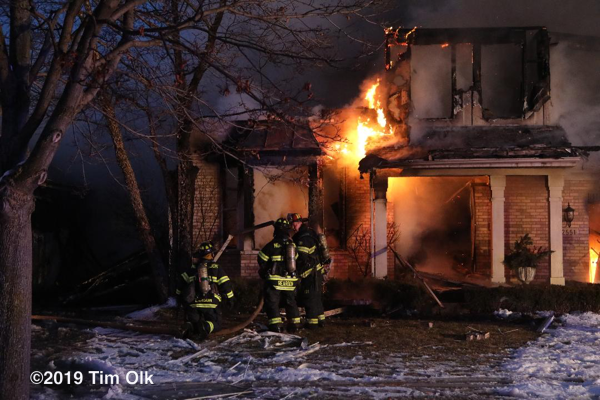 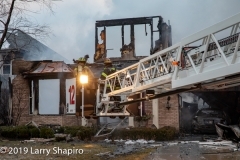 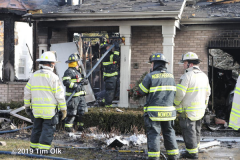 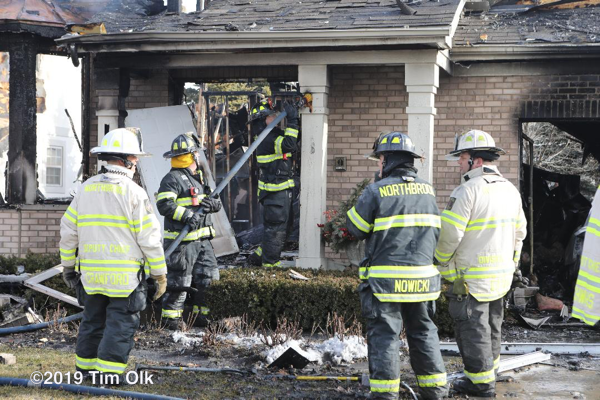 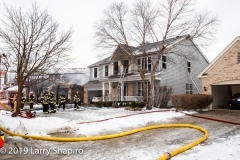 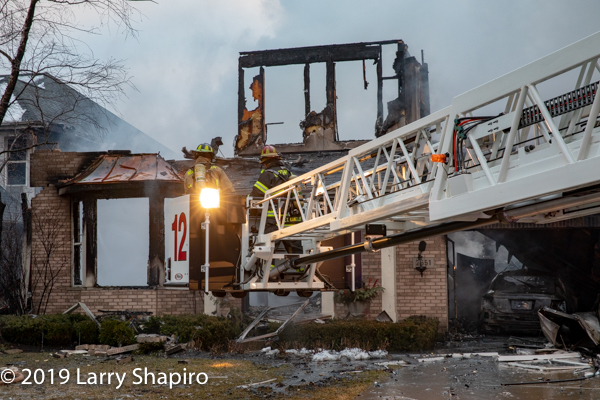 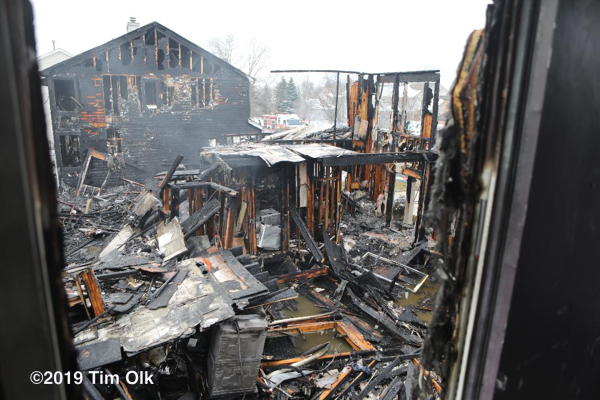 Authorities investigating an explosion and fire last week at a home in Northbrook have found no evidence the blaze was intentionally set or to indicate it was suspicious in nature, but the cause remains undetermined. 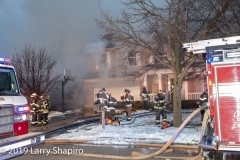 Fire Chief Andy Carlson said the cause of the blaze remained under investigation, and the Illinois State Fire Marshal’s office will continue to investigate plus experts will be sent out by the insurance company that covers the home and they are expected to look at the home’s appliances, including the furnace. 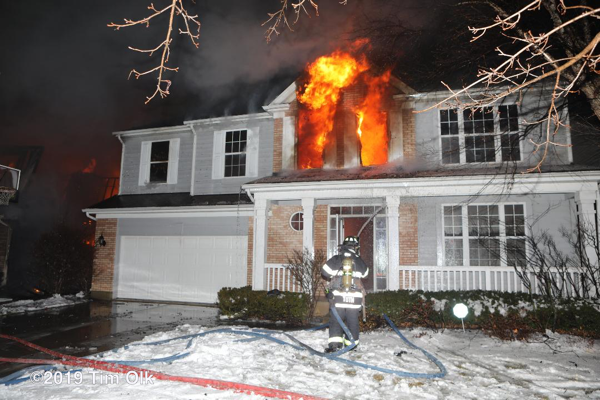 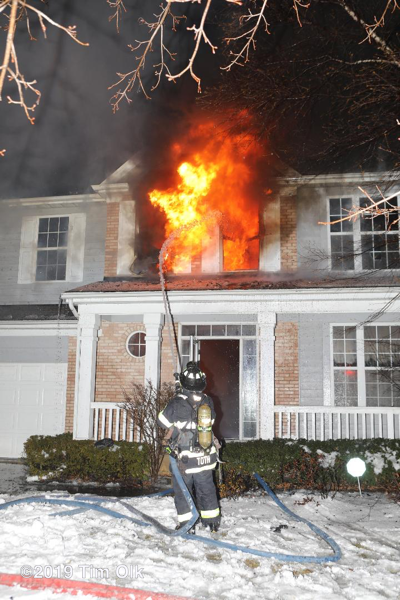 A fire that broke out at a home in Northbrook Wednesday morning had three families running for their lives. 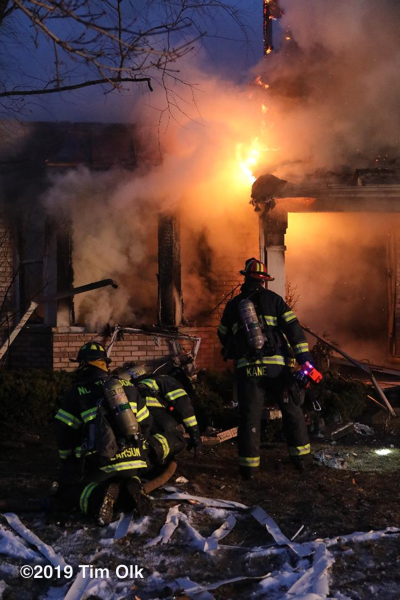 An off-duty firefighter was on his way to work when he spotted a home in the 2500-block of Melanie Lane fully engulfed by flames. 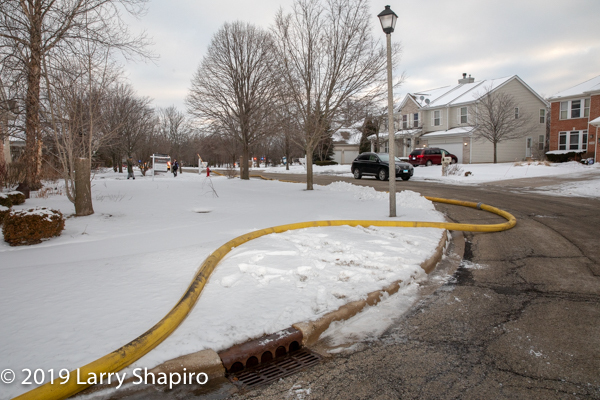 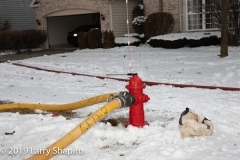 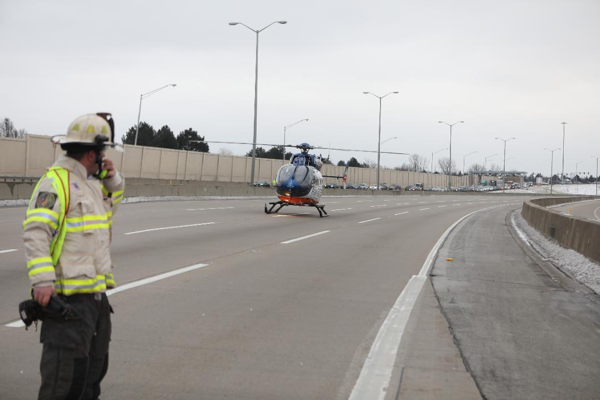 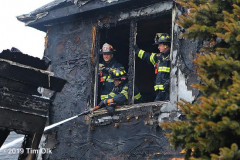 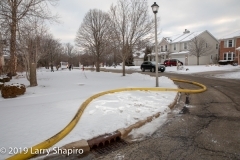 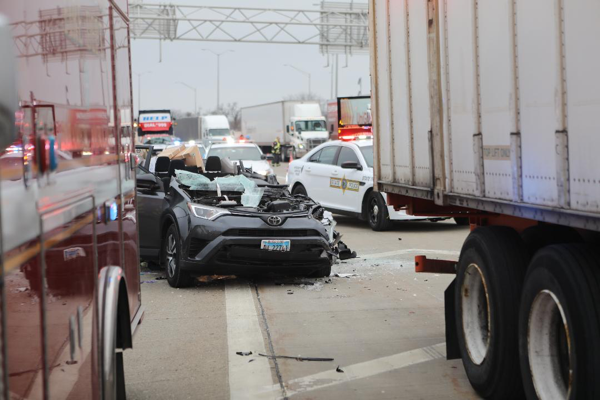 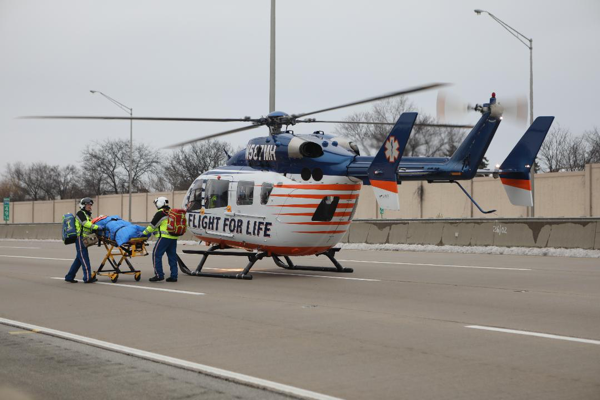 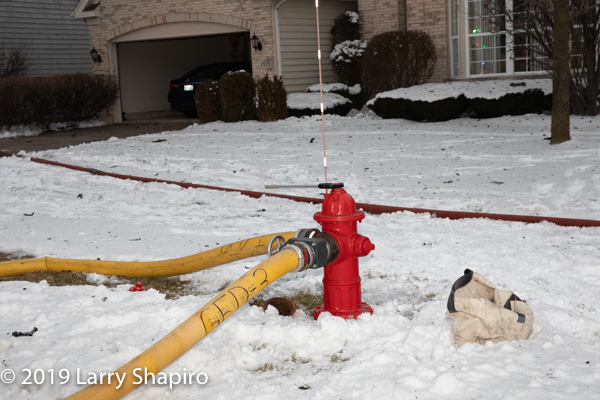 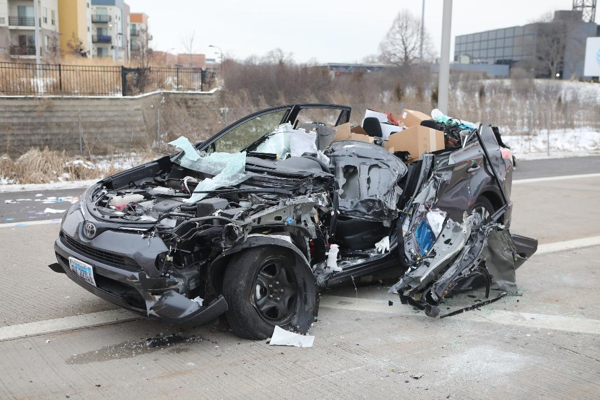 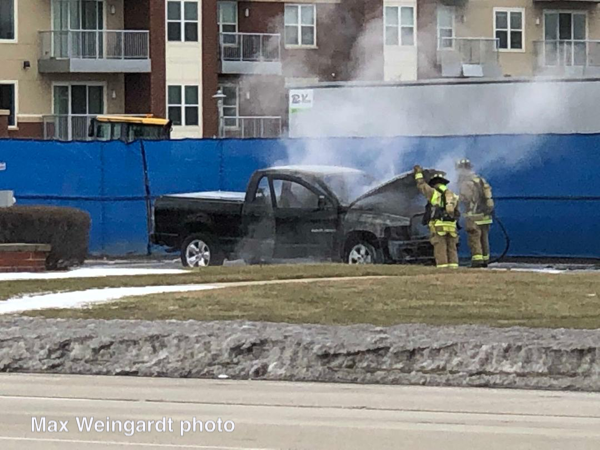 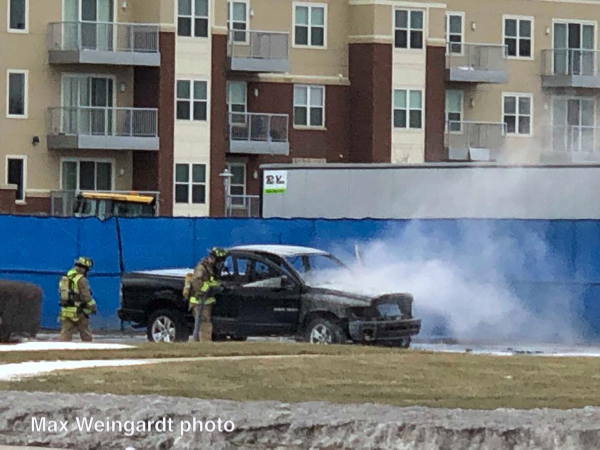 The Northbrook Fire Department was on the scene about 8 minutes later. Helicopter footage shows fire billowing out of the home and spreading to the houses on either side of it. 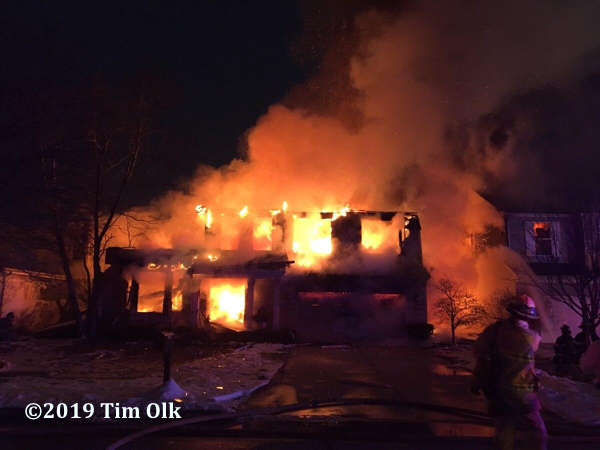 The woman who owns the home where the fire started said she heard a loud pop, then saw a wall of flames and managed to escape relatively unharmed. 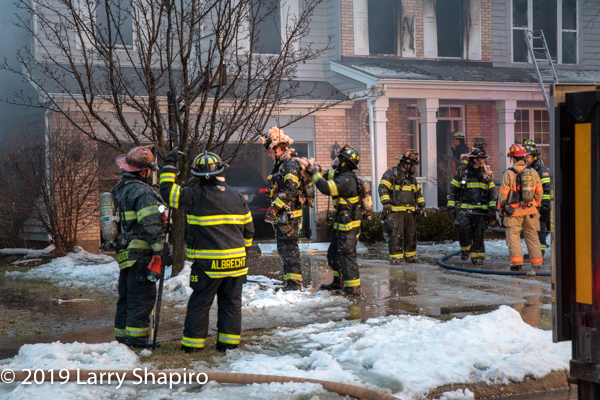 The neighbors got out too. 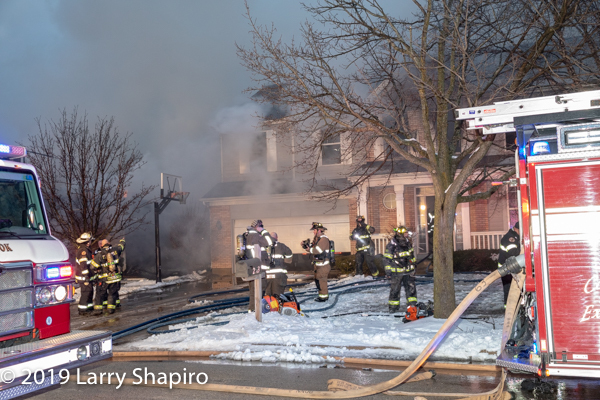 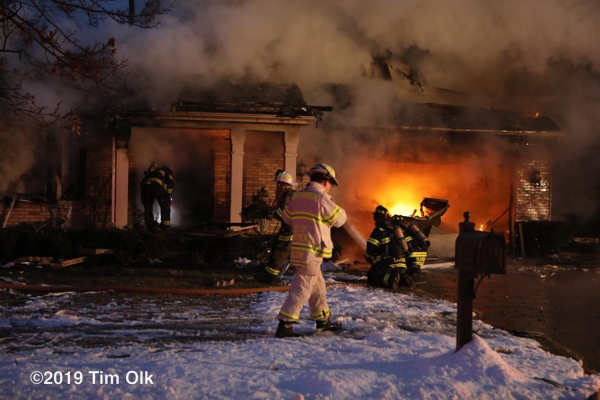 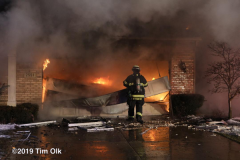 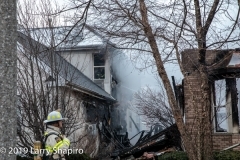 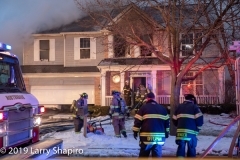 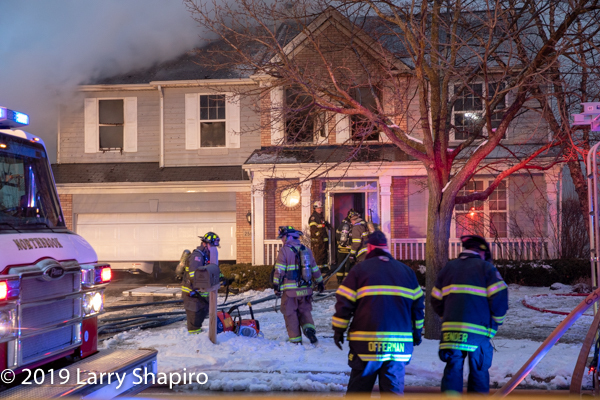 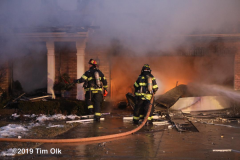 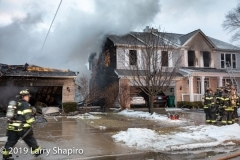 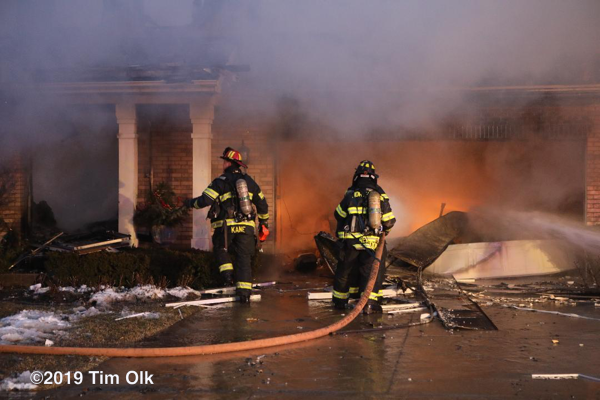 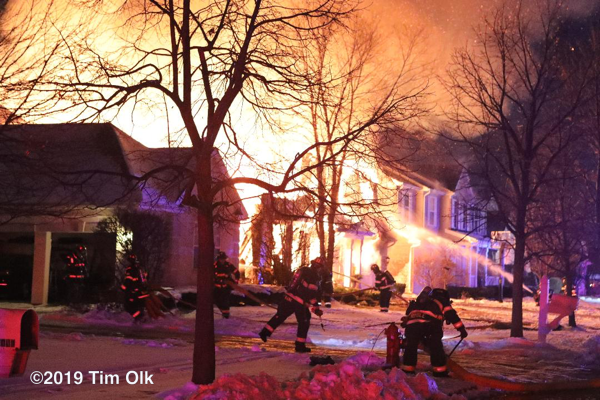 Northbrook firefighters along with mutual aid companies responded to a reported house explosion at 2563 Melanie Lane before 6:30 Wednesday morning (1/16/19). 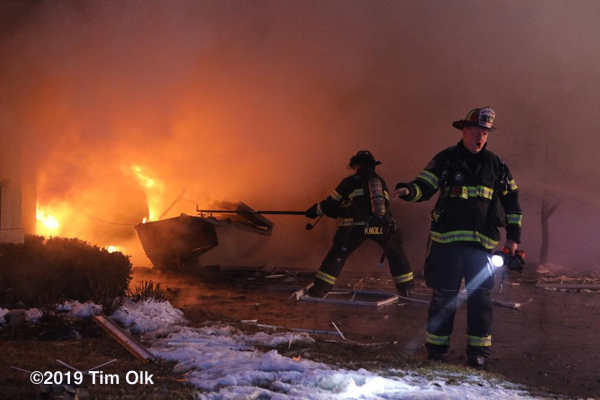 Arriving companies found one house engulfed in flames with fire extending into the exposure buildings on both sides. A Box Alarm was requested and then a 2nd Alarm was requested bringing companies from most of Division 3 to the scene. 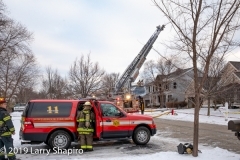 The original house was totally destroyed, one exposure was virtually gutted, and companies were able to contain the fire to the other house with what appeared to be minimal interior damage. 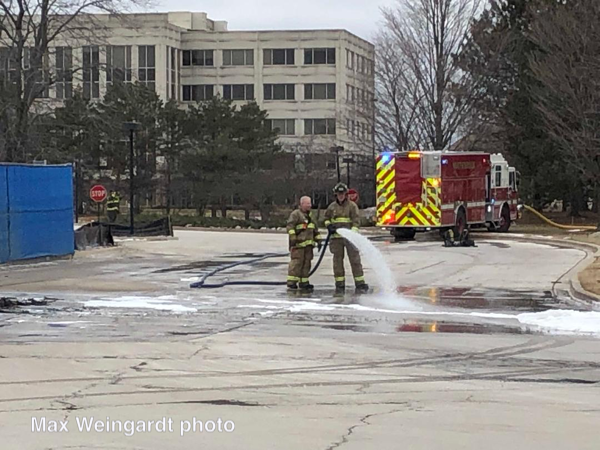 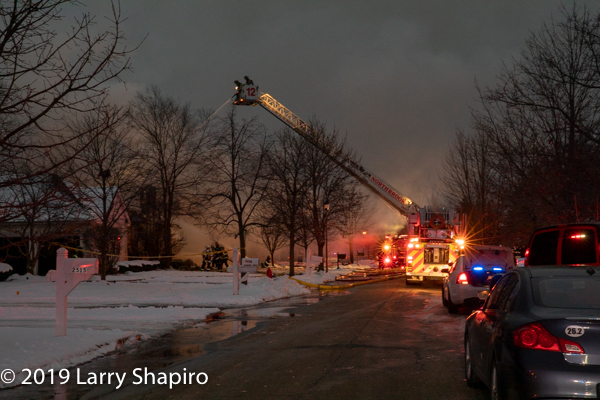 Elevated master streams were deployed by Northbrook Tower 12 and Glenview truck 14. Glenview Engine 8, Northbrook Engine 10, and Northbrook Squad 11 were all pumping. 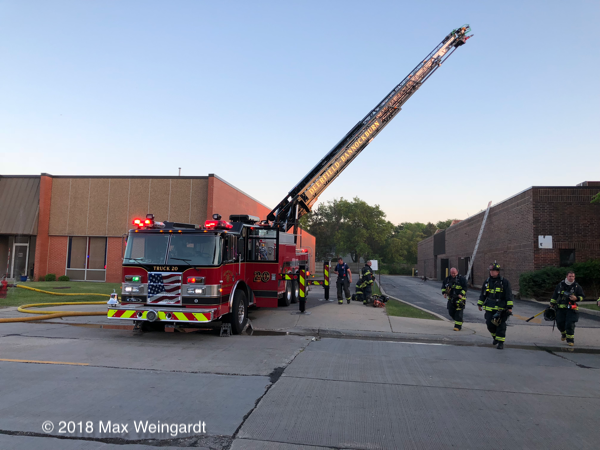 Lake Villa Fire Protection District, 107-foot Ascendant aerial ladder quint on a Pierce Arrow XT cab and chassis; 2,000/500. 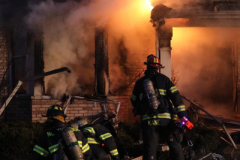 Delivery in June 2019. 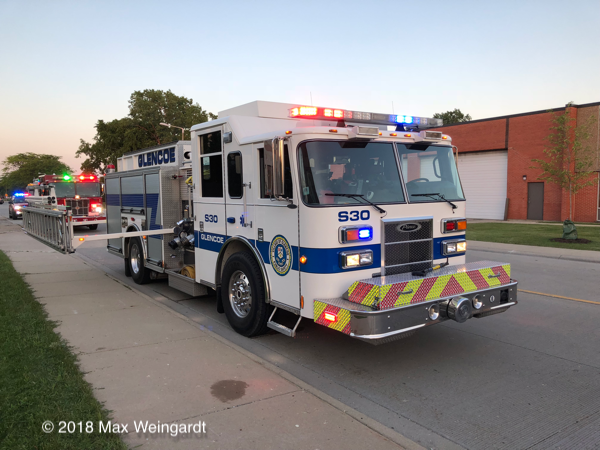 Lyons Fire Department, Pierce Enforcer pumper 2,000/750/125/30. 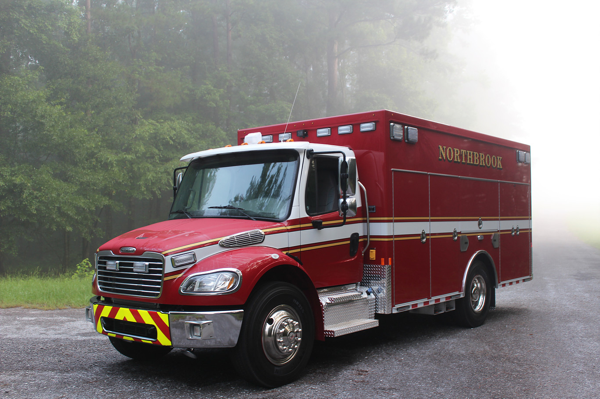 Delivery in June 2019. Northbrook Fire Department, Pierce Velocity, 100-foot aerial platform quint. 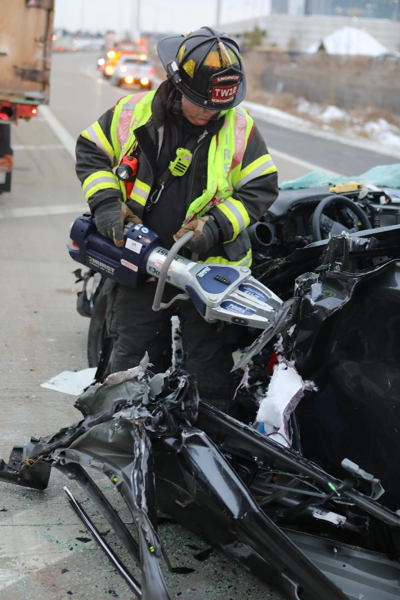 1,500/300/40. 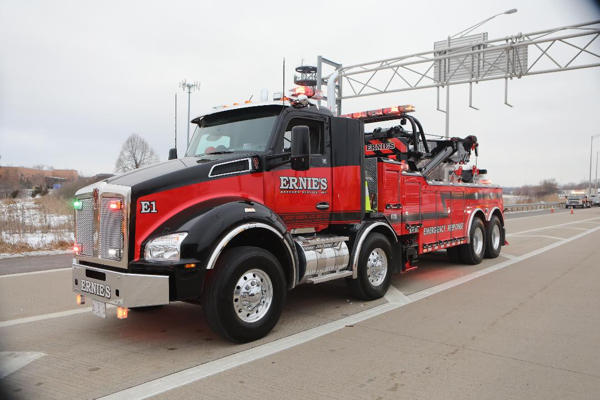 Delivery in June 2019. 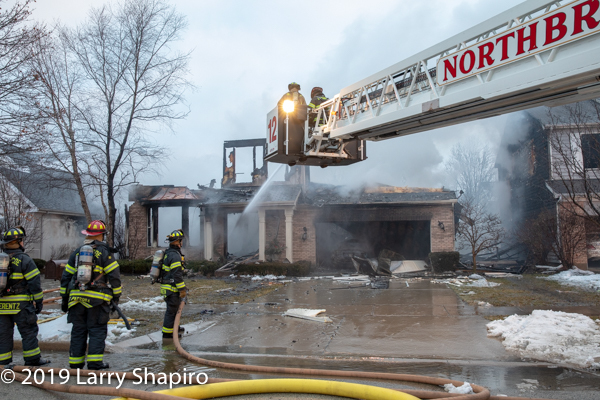 For the past year, the Northbrook police and fire departments have seen major changes in their managerial ranks as some officials retired and others were promoted. 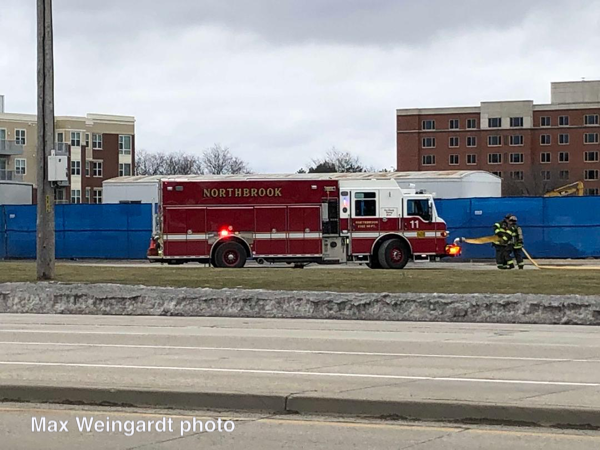 The Northbrook Fire Department has promoted administrative officials 17 times since last summer, said Fire Chief Andrew Carlson. 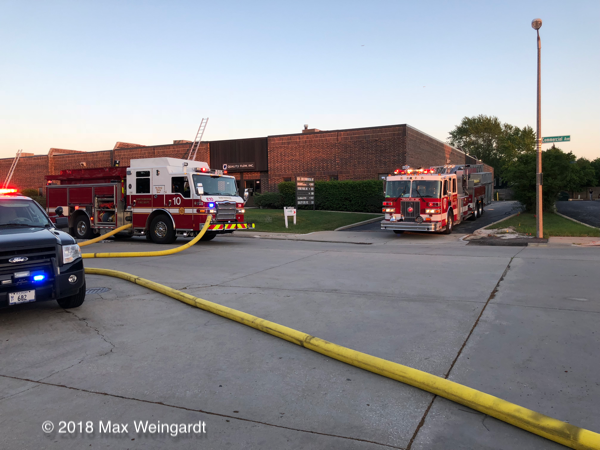 Some employees were promoted twice within that time frame. 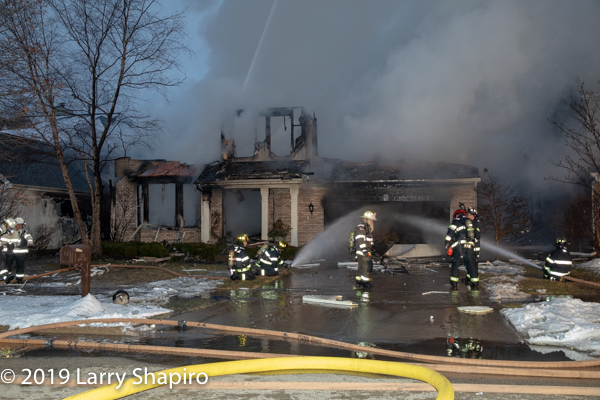 Carlson for example was promoted to deputy chief and then chief, he said. 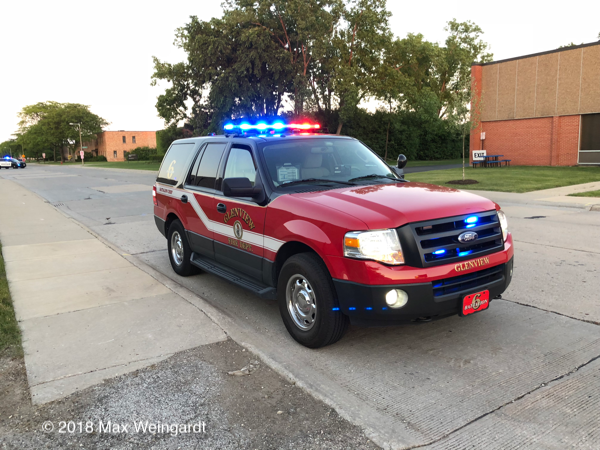 The promotions in the fire department led to six new hires, all firefighters and paramedics, and the department will hire two more firefighters and paramedics in October. 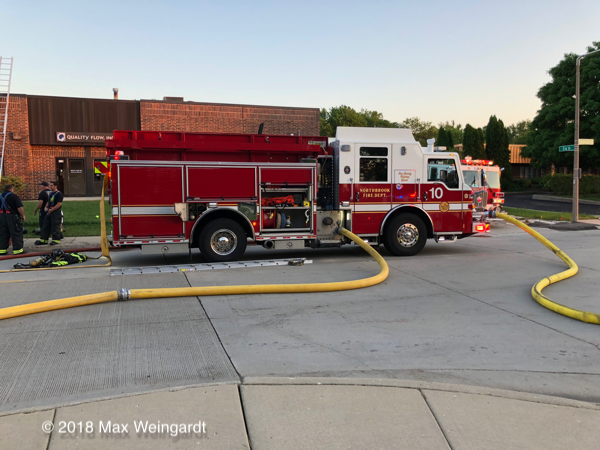 Since he was appointed in January, Carlson said the fire department has spent a lot of time reviewing previous procedures to increase efficiency. 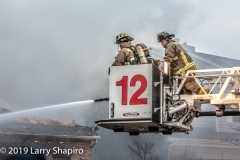 In May, the department reverted back to its previous policy of having two deputy chiefs, which also contributed to the fire department promotions this year. 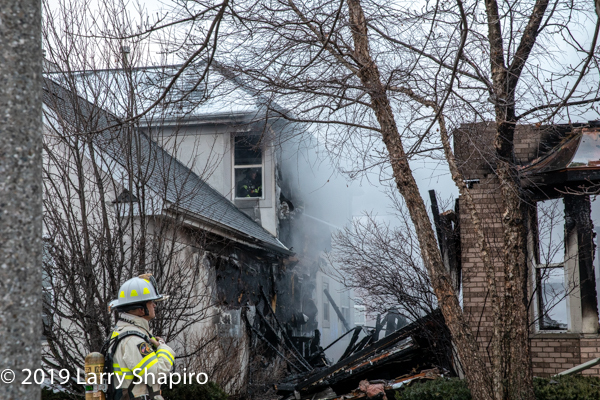 Moving forward, the department will spend time doing a data analysis to have the ability to predict where call volumes will come from. 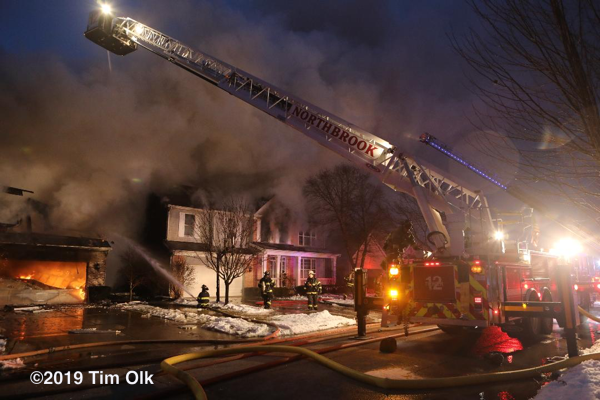 In the Northbrook Police Department, the retirement of eight administrative positions led to multiple shifts within the department. 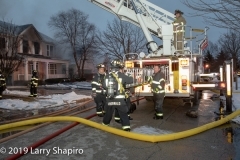 All of the promotions have been internal, which benefits the departments because the officials moving up in rank have institutional, community and procedural knowledge. 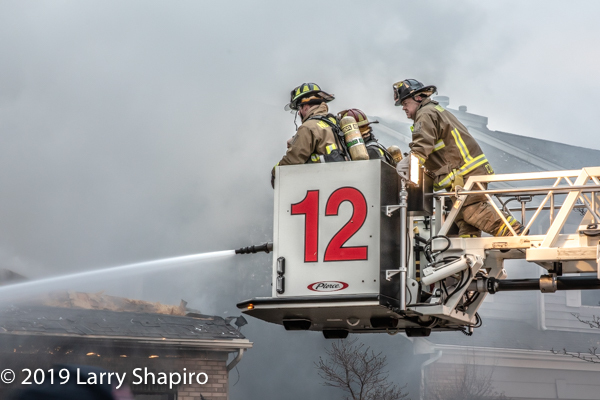 Most promotions are a result of a retirements after serving the community for the majority of their career. 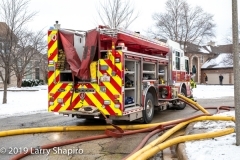 The departments can see multiple retirements in a given year because a lot of employees are hired at the same time early on in their career and stay with the department for decades. 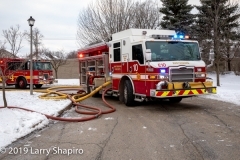 As police and fire officials move through the ranks, the departments need to hire new officers and firefighter/paramedics. 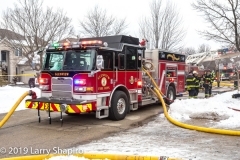 Following state statutes, both departments partner with agencies in neighboring communities to test candidates looking for police and fire jobs. 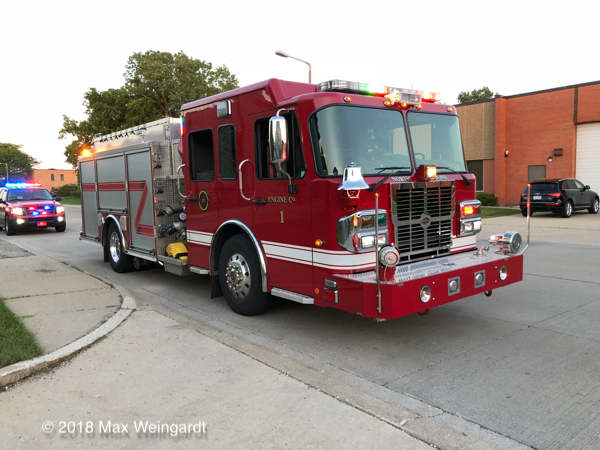 The departments work with the Board of Fire and Police Commissioners to select which candidates to hire based on the initial test scores, interviews, and other department requirements, like a polygraph, Adkins said. 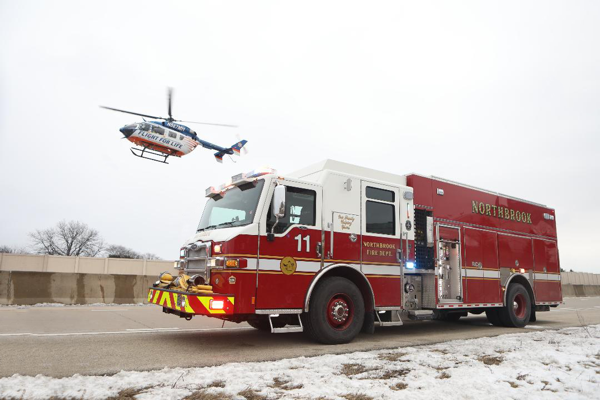 Both departments are required to administer the test every two years, so if a position opens they have lists of potential candidates. 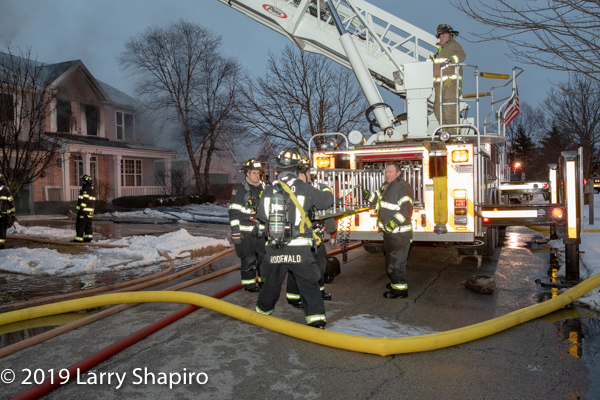 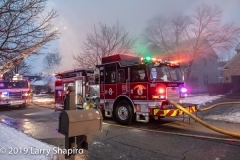 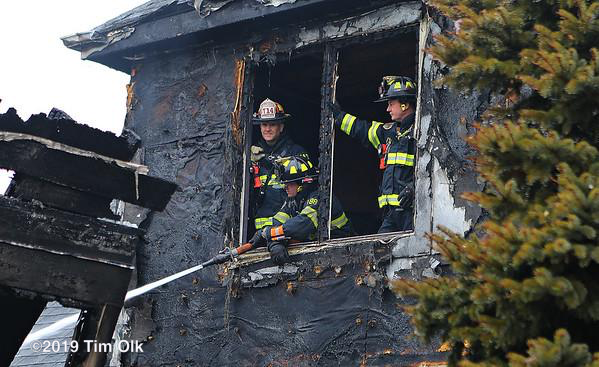 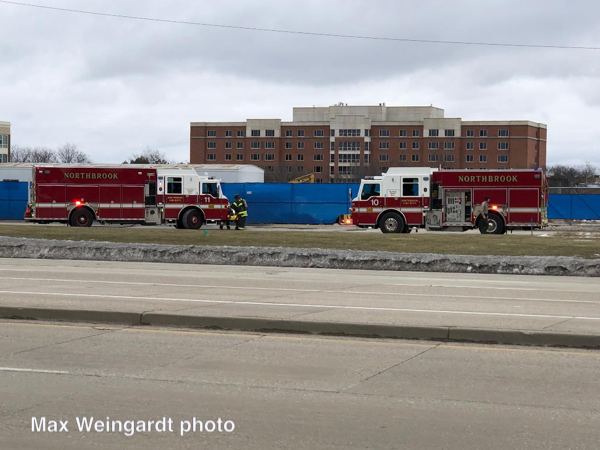 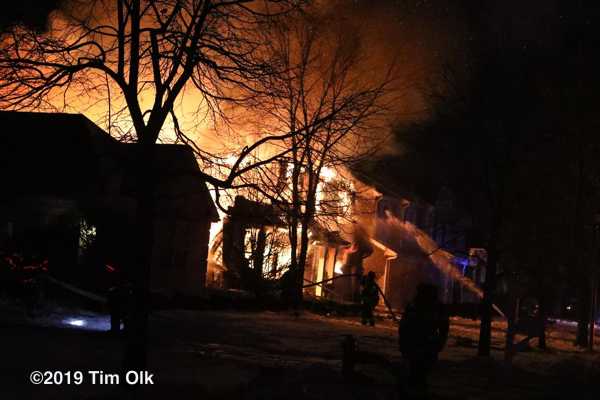 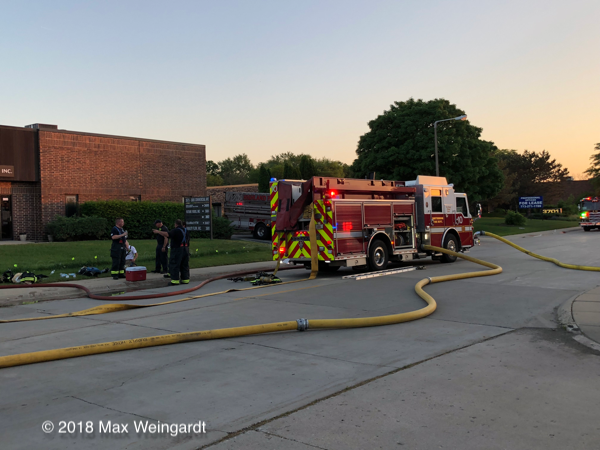 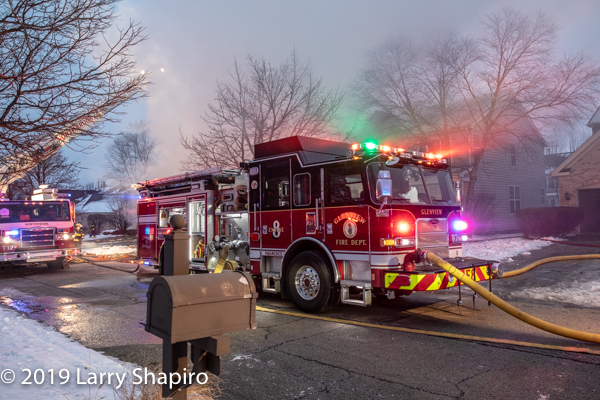 Photos from Max Weingardt of the Box Alarm at 3675 Commercial Avenue in Northbrook Monday evening.